The EEOC made a clear, spine tingling statement with its recently approved strategic plan for FY 2012-2016. Employers with the potential for systemic discrimination issues, beware. The agency plans to focus its litigation enforcement mechanism on ‘systemic’-type cases that have the potential for broad, widespread impact on an industry, occupation, business, or geographic area. This can spell serious t-r-o-u-b-l-e for organizations that have not reviewed their hiring or employment screening practices lately, or those that may have failed to address long-standing holes or problems. 1. Combat employment discrimination through strategic law enforcement. NOTE: As per the agency’s statutory mandate, the majority of the EEOC’s financial and human resources will be devoted to this first objective. 2. Prevent employment discrimination through education and outreach. 3. Deliver excellent and consistent service through a skilled and diverse workforce and effective systems. There are many areas where anti-systemic discrimination practices intersect with effective employment screening practices. Care must be taken in collecting, interpreting, and utilizing employment screening data to make hiring decisions. 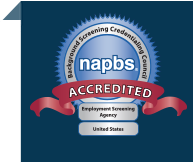 Will Your Employment Screening Process Meet the Test? If your employment screening process or hiring practices as a whole lacks the wherewithal to withstand EEOC interrogation, the agency’s first objective should make you more than a little nervous. Last year the EEOC hit a record high number of cases against employers and given this strategic plan, the next several will likely continue the trend. We invite you to request a free employment screening risk assessment to analyze the key factors that determine your ideal employment screening approach.